If you are manually uploading content to Moodle, you can check the box next to each activity you upload to mark it complete. 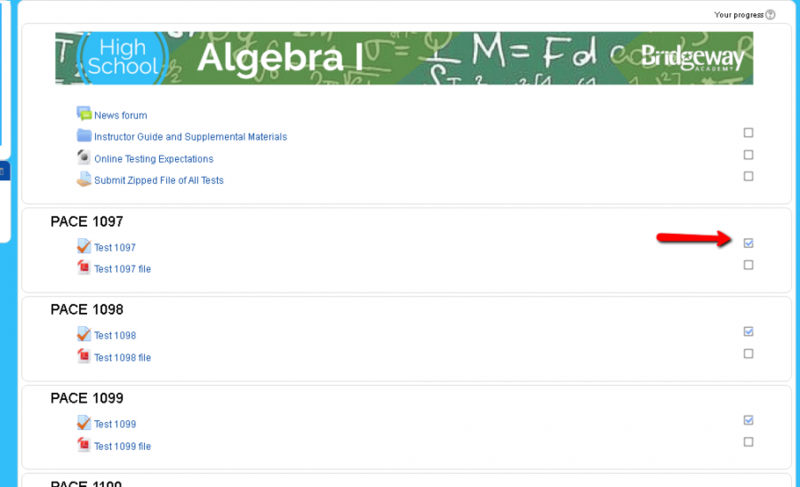 This will ensure the progress on the student dashboard is also marked complete and your course completion percentage is correct. 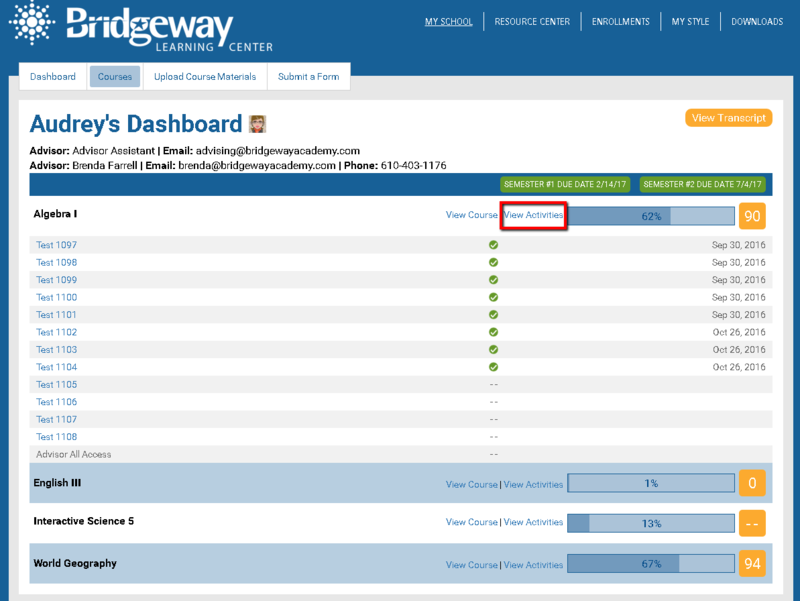 If you are taking a Bridgeway online course, this progress is automatically checked, but if you are taking a textbook course, you will need to manually check each activity as it is completed.